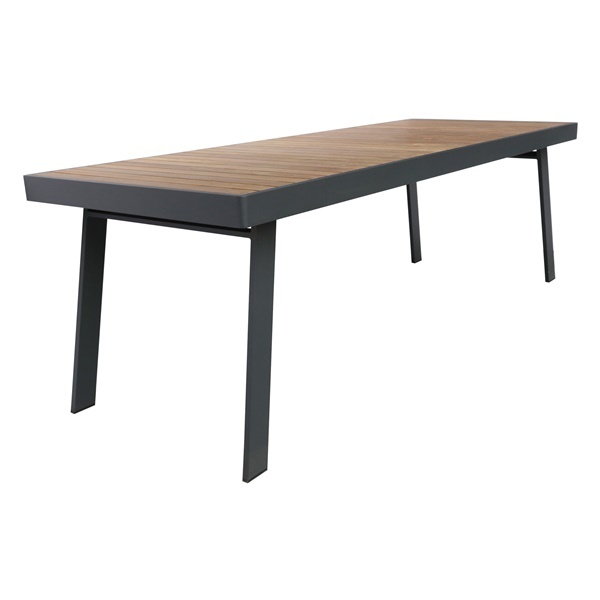 This Nofi handsome dining table is ready to go outside with you to help you enjoy nature. This beautiful dining table will seat as many as eight people and has a lightweight construction so that it�s easy to move as needed. It has a metal frame with a lovely charcoal finish, accented with a top in beautiful teak wood. Put it together with the Nofi chairs to create a beautiful look for your patio.